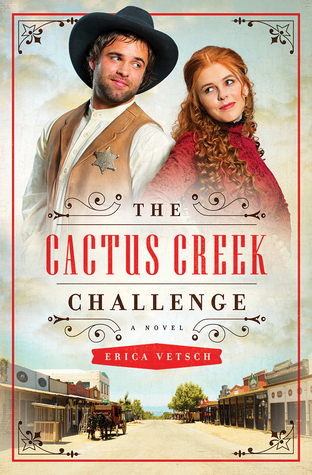 Every year the small town of Cactus Creek has a challenge. Two men change jobs for a month and the town votes on the one who performs his task the best. The winner puts the money that the town donates towards something the town needs, such as a new pump or books for the school. But this year the committee has decided to switch things up and allows women to enter for the first time. The night of the drawing the contestants find they are in for another surprise. Now a tiny slip of a girl is the new sheriff and a livery owner is the new baker. Things can't possibly go right for any of the contestants. I'll be honest, I wasn't looking forward to picking up this book based on the description on the back. It just didn't appeal to me. But I'm so glad I finally did. I laughed the entire way through the book. These poor people just couldn't get things right and the results were hilarious. The sayings that the author threw in were a bonus for sure. The four couples find peace in their lives and also unexpected romance. 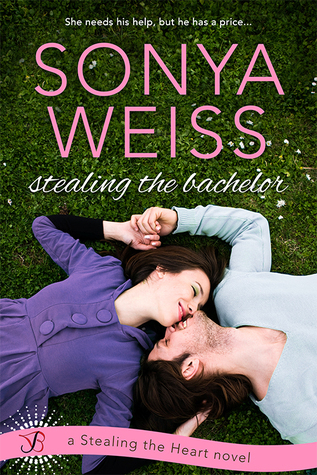 The reader is watching four people, their families, and two romances playing out amid a devious plot by some thieves. I really enjoyed this book and would highly recommend it. Trent has made some serious mistakes in his past. But he's matured and has now been clean and sober for three years. Veronica's pasted is shadowed by a tragic event and she's now reluctant to enter into any relationships. But she's found love with an anonymous blog writer whom she's never met. They share a lot of common interests and seem to understand each other. Veronica feels safe sharing her darkest secrets with him. But the guy, Trent, that she meets in real life is also pulling her out of her past and into the present. Can she be in love with two people? This book was clearly in a series, something I missed when picking this up to read. The book works as a stand-alone, but would be much better had I read the previous book and knew the innuendos the author was leaving for the readers of book one. The author did a great job of taking a sweet romance and adding the darker elements that the two main characters were suffering from. I think she handled the sensitive subjects well. The plot was predictable, but sweet. Overall, the story or characters didn't grab me, but the subject matter was handled so well that I found myself enjoying the book more than I would have, had it been missing. Paddy lives in the enchanted forest of Misty Wood. His job is to help spread the pollen so the flowers will grow. Paddy is having a birthday and he invites all of his friends to come to the party. As he goes through the forest, he makes new friends to invite to the party. My daughter enjoyed this book. The book's cover was the first thing that attracted her, but she also loved the illustrations inside. The book begins with a drawing of Misty Wood so the reader can visualize as they read. The font is large and the vocabulary fits with the intended age group. Illustrations throughout the book keep the young reader entertained. Short chapters and a smaller sized book make this perfect for short attention spans and small hands. Parents and teachers will appreciate the age appropriate vocabulary and the enticement to reluctant readers. The reader will love the extra activities at the back of the book that correspond with the story. Christy has lost every one of her family members. Her parents died in a car accident and her sister most recently in a house fire. But now that Christy is finally moving on from the grief of their deaths she receives a note in the mail that implies her sister is still alive. The note also instructs her to not contact the police. But Christy needs all of the help she can get. So she makes an appointment with Agent Lance at the FBI. Quietly they investigate who is responsible for the death or kidnapping of the sister and possibly the threat to Christy. 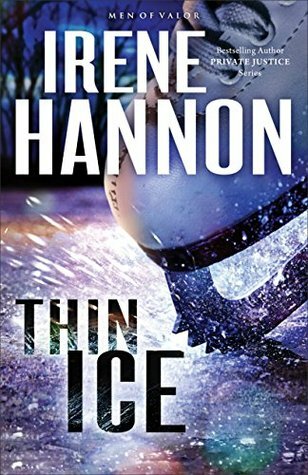 As usual, Ms. Hannon wrote a gripping, suspenseful, and faith filled drama. It was nice to visit the McGregor brothers again and learn more about them. I'm looking forward to reading about the last brother in the next book. The author did a great job of creating and defining the villain's character. He was perfectly chilling. The romance between the two main characters was sweet, clean, and fit well with the story. I love reading anything by this author and would recommend her to anyone who enjoys Christian suspense. This is not a book to sit down and read. It is more of a reference guide for problems that a parent might be having. The most common problems are addressed and the authors use concise wording and easy steps so everything is clear and well defined. This is an informative book that I think parents of toddlers will really appreciate and benefit from. I received this book free of charge from LibraryThing in exchange for my honest review. Henry Eldridge is the Marquess of Riverton. He's cold, unfeeling, and has no idea who his servants are or what they do for him. But when a fire causes severe burns to his face and arm, he almost dies. His life suddenly seems more valuable and he begins to take notice of the people around him. But he fights his attraction to Cassandra. Because even with his changed outlook, Henry knows that he can't fall in love with a housekeeper. Cassandra is tasked with keeping the Marquess out of depression while he heals. So she asks him to teach her German. As she spends time with Henry every day she finds herself becoming more and more attracted to him. He's nothing like her late husband and she knows it will never happen. But a girl can't help how she feels. This was a sweet, romantic story. The book is part of a series, but read like a stand-alone. It had all of the classic plot lines of a regency romance. Which might be why I liked it so well. The characters had depth and distinction. The setting was well described and it was easy to place myself in the story. It does have some mild bedroom scenes for those who are uncomfortable with this sort of thing. Overall, I enjoyed the story and would love to read more by this author. Casey lost her father as a young child to an apparent suicide. Now her best friend is dead and she's the prime suspect. She knows she needs to run. Dylan is the private investigator hired to find Casey and bring her back. Somehow Casey needs to stay one step ahead of the police, bad guys, and an ex-military investigator. The book started off with a gripping scene that pulled you right into the story. It's suspenseful, high drama, and a little bit of faith woven together to create an outstanding plot that will keep you reading. The characters are well developed and the writer has you rooting for the flawed, but likable runaway. I was unaware that this was the first book in a series. So I was completely shocked at the ending. It definitely leaves room for the sequel to pick up and run with the rest of the story. If you like suspense with a Christian element then you'll love the newest book by this famous author. Josey's having a rough time. Her parents were killed in a car accident and her sister lives far away. So she buries herself in her work. But an adoption link sent by her sister, inspires Josey to check out the animals. The sad eyes of a basset named Cookie beg her to take him home. He lost his owners right before Christmas in a car accident that he was also injured in. Josey makes the acquaintance of a veterinarian at the animal fair and the two become friends. This was a sweet Christmas story about loss and love. 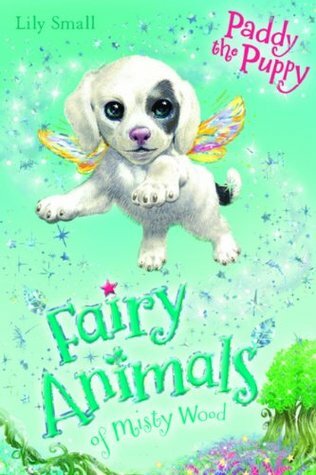 The characters were entertaining and the element of animals was a nice added touch. 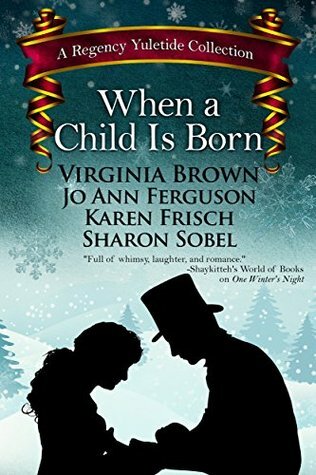 While the story seemed to be a bit fast, I enjoyed it and would recommend it to anyone looking for a quick, enjoyable Christmas romance story. Because of some comments made by a nerdy classmate, Eric, in high school; Ann has grown up feeling like the unattractive sister. So she throws her time and energy in to creating her chocolate business. But her trust in men seems to be highly flawed. Her business manager uses her business to cover a scam and leaves her at the mercy of the FBI when he steals all of her money and implicates her in the fraud. The only person that Ann knows who can help is Eric. She's penniless and desperate enough to go see if he is willing to take her case pro bono. Eric is willing to take her case, but he has a condition. Ann needs to help him become a bad boy so he can land a girl. Ann agrees and the two find themselves spending a lot of time together as they change Eric's wardrobe and work on Ann's case. This was a sweet, simple story that worked well as a stand-alone. 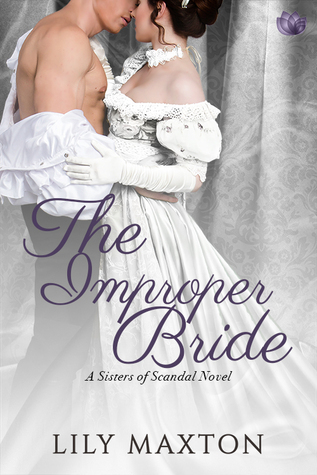 I could tell that Ann's sisters had previous books and their struggles and romances were referenced several times, but it wasn't enough that I felt lost or detracted from the book. There wasn't really a lot of drama or suspense. The issues were resolved quickly or faded away, making these aspects of the story weak. The main focus on the story was the romance between the two characters. I think the story could have had more depth, the characters could have been more fleshed out, and the main drama could have had more details. Overall it was sweet, but not gripping. Hollie has never seen snow. So she plans her honeymoon in Canada during the Christmas season so she can experience a true white Christmas. But two months before the wedding her fiance leaves her. Hollie's best friend convinces her to keep the non-refundable reservations for the honeymoon and experience her white Christmas as planned. But from the very moment she arrives, things begin to go wrong. 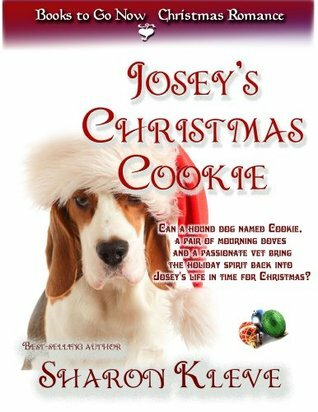 Hollie is eventually rescued from a snowdrift by a widower and taken back to his house to spend Christmas. Hollie and Jim need to let the past go and create new memories to keep their hearts warm during Christmas. This was an uncomplicated, sweet story. I'm not sure how long it was since I read it on my iPad, but it felt like a novella. There wasn't any drama or conflict and the romance was a given from the very beginning. But someone looking for a sweet romance with no complications will enjoy this story. 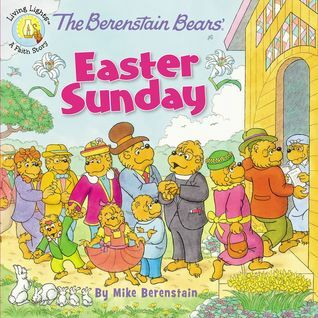 The Bear family gets dressed in bright and fancy church clothes. They join their friends at church on a beautiful Easter morning. Preacher Brown and their Sunday school teacher, Miz McGrizz tell them all about Easter and what it means. After church the family walks home to a wonderful Easter dinner. On the way home they notice all of the tiny spring animals that God created. My children enjoyed reading the book. Although they already know about Easter, it was nice to have it explained in another way to them. When I asked their opinion they said the book was "nice, but not as fun as the older books". The pictures are detailed and help tell the story. This book didn't really have much of a plot and that may be why the children didn't enjoy it as much. Overall, it's a nice book to use in explaining Easter to younger children. 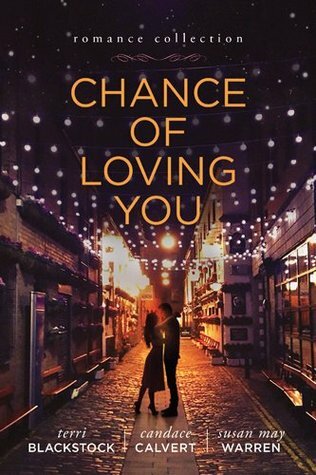 Three authors tell the story of three young women who receive a chance at happiness and run the risk of losing the love of their life. Each story can be read as a stand-alone, but ties together with the title. 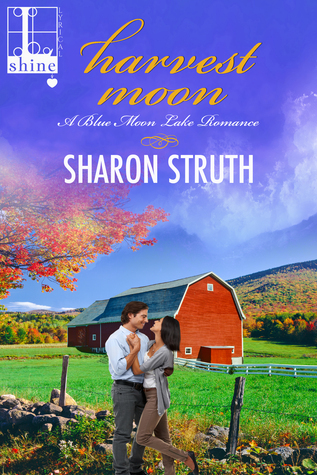 The authors use sweet, clean romance to tell a faith filled story about trust and love. I've read and enjoyed books by all of these authors so was excited to read this book. The Recipe by Calvert was my favorite. The characters were likable, the romance didn't feel rushed, and there were some sweet side elements. 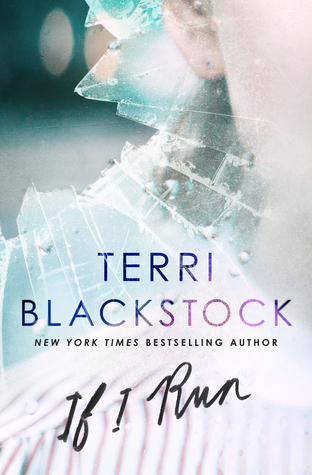 The one by Blackstock felt a little cheesy and I didn't like either of the two characters. It was a decent story, but not one I'd base this authors writing on. She's written some great books. Warren used a setting from a series she has written, but the reader doesn't need to be familiar with it for this story. I enjoyed the story, but it wasn't my favorite. Overall, this was a nice diversion and I enjoyed the book. If you enjoy novellas and want a book with clean Christian romance then you'll enjoy this book. 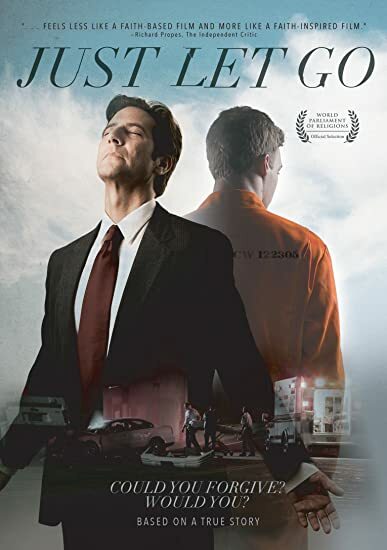 Just Let Go is the movie based on the book by Chris Williams that tells the story of the night he lost half of his family in a tragic accident. A young 17-year-old boy was drinking and plowed into their car. The boy walked away from the accident, but Chris lost his daughter, a son, and his pregnant wife. He and his other son spent considerable time in the hospital. When the young man's trial comes, Chris must decide whether he wants to forgive and move on or go after the harshest punishment. I haven't read the book so this review is not about how well they adapted the movie. The characters seemed to fit the people they were trying to portray and were great actors. I didn't get a sense of B actors or a second rate film at any time during the movie, which surprised me. Quite a few "religious" movies tend to lean in that direction. The movie used flash backs to tell the story of the wreck. This was well done and added to the drama of the plot. I'll admit to a little boredom while watching this movie. The grief portrayed was well done, but it seemed to go on and on and I prefer a little more action in my films. Overall, it was a well done story, great actors, and a beautiful message that was portrayed very well. But it wasn't my style of movie. If rating on personal preference alone it would probably be a 2.5-3 stars. But I'm giving it a 4 because I think the movie was well done and will connect with a large audience. I received this movie free of charge in exchange for my honest review. 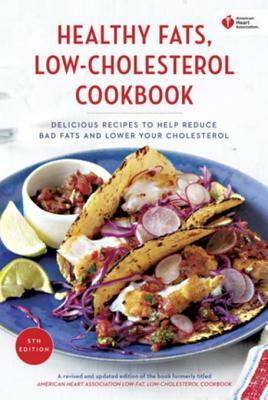 This is the fifth edition of the heart healthy cookbook put out by the American Heart Association. It is filled with more than 200 recipes that are heart healthy. But it also provides information about the risks of heart disease, ways eat out healthfully, and what foods to look for or avoid. The print is smaller than the cookbooks I usually use and the book is heavy with light weight paper. This allows for quite a bit of information and recipes to be packed into the book. It does, however, make it more difficult to use, in my opinion. There aren't any pictures or color inside the book. I was impressed with the amount and content of advice given. The recipes were simple and easy to make, the ingredients are the ones that can be found readily in any grocery store. Another plus was all of the nutritional information provided with each recipe. This would be helpful for anyone following a diet or trying to keep track of calories. Overall, this is a cookbook that I would recommend for its amount of easy to make recipes, helpful information, and nutritional information provided. This book is in a series about children from around the world. Young readers will get a glimpse into the lives of children just like them who live in a different country. The format is like a story, but is informative. The book begins with the surroundings and places the children might live, it continues with family, food, and school. 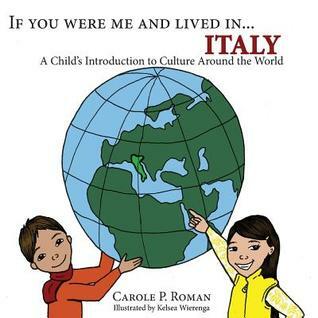 It give Italian words and their pronunciation so that the young readers can try out the words for themselves. Most of the pictures are illustrations, but a few of the more well known places are photographs. The book concludes with a pronunciation guide. My children love these books and look forward to getting them. It is fun to try pronouncing the words and talking about how different other places are from our own home. This book would work well for school as well, either in a school library or used for in a social studies program. Check out the other country books by this author as well. Daphne has spent the last twelve years in New York working for the Times and hoping to reach her dream job as a journalist. But she's stuck in the boring job of writing about weddings. She is shocked and saddened by the death of her favorite aunt. She returns to her small home town for the funeral and is shocked again when the will is read. Everything is left to her. Naturally her relatives are furious and Daphne is horrified when she learns that if she doesn't follow a set of crazy requirements the entire thing will be given to the cat home that her aunt rescued her cats from. The will reveals secrets that Aunt Dee has kept from everyone. Secrets that if revealed can change everything. The plot was fun to read, although didn't seem very plausible. The main character didn't really stand out for me, but I enjoyed quite a few of the secondary characters. This was the first book in the series, but it felt like I was missing some vital information from a previous book. Perhaps it will be cleared up in the next book. I appreciated the thoughts that the author wrote about trusting in God for a future mate. The thing that made me rate this book so low was not really the book itself, but how it ended. It didn't end. I was reading this on the my iPad and thought at first that I had received a copy that was missing the last part. The ending was abrupt and didn't finish the story. This is not only frustrating, but makes me not want to read the rest of the story. Overall, this was a decent book, but the ending won't let me recommend it to anyone. Four different stories are told by four different authors. The only connecting theme is the baby that appears to them around Christmas time and the time period that the story is set. Each story is a romance story that tells about the chaos, blessing, and love that comes from having a child join the family. I enjoyed each of these stories. The focus was mainly on the romance and the baby. But each story had a little extra with the secondary characters and the setting. The authors also did a great job with the plot lines in the limited setting of a novella. I would definitely read more by each of these authors based on these stories. 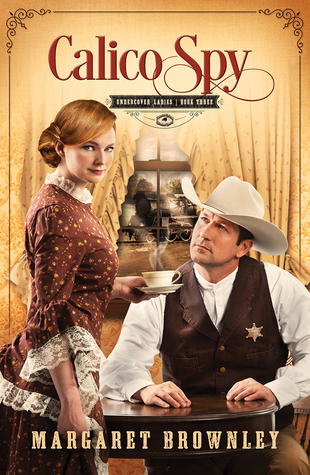 Katie is one of only a few female Pinkerton agents. So when two female Harvey girls are murdered, she is sent to infiltrate the the girls at the Harvey House and find their killer. This is made a bit more difficult by the fact that Branch, the local lawman, hates Pinkerton agents. And he's even less thrilled when he finds out that he's working with a female one. This was a fun story that will entertain readers of light mystery novels. It took me a while to get into the book. I think the beginning had too much back story to go through before we could get to the main plot lines. 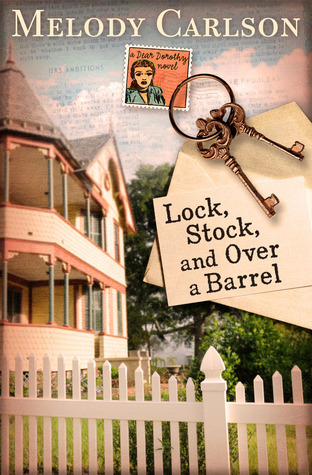 This is book 3 in a series, but only ties in with the previous novels because the main character is a Pinkerton agent. The characters were fun and I enjoyed the interactions between them. But quite a bit of the story felt unnecessary to the main plot. The romance was sweet, predictable, and low-key. Overall, while I enjoyed it, I don't think this book is my favorite by this author. So I would give it a 3.5 stars. This is one of the most comprehensive books on baby names that I've seen in a while. The author begins with an introduction and a brief explanation on how to use the book. The girls are first, followed by the boys. She first begins with Old and then New Testament names. But also listed are Christian concepts and virtues, Martyrs, and Saints. Each name has several aspects - Origin, Significance, Popularity, and also things like related names, or spelling variations. First I loved the cover. What a precious way to start the book. But the depth and layout of the book was also great. I love looking at baby names and learning of their origins and meanings. 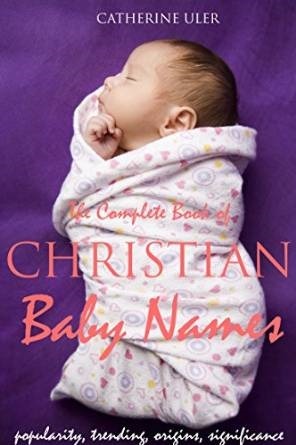 While soon to be parents are obviously the target audience, this book would also be wonderful for authors who are trying to name their characters. Definitely a fun book to own. Shaun and his other sheep friends invent a really fun game called Bitzerball. This game has a lot of rules. One of the main rules is that the rules can change at any time. They think it will be fun to have the pigs join them and then keep changing the rules. But things are really complicated even to the sheep and for a while it looks like the pigs will win the game. Shaun needs to find a way to complete the obstacle course and win the game against the pigs. The book begins with a map of the farm to give the young readers a visual of the story taking place. It also includes a brief bio on some of the main characters. The font is large and the vocabulary is right on target for the age group. The book is the perfect size for small hands to hold. The illustrations help tell the story and had my children laughing throughout the book. 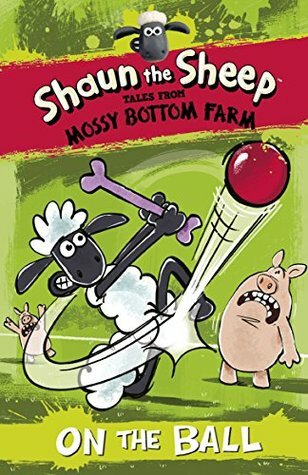 Parents and teachers will enjoy this book that encourages and fosters reading; while children enjoy the amusing and illogical story about farm animals. The book ends with the first chapter of another book in the series to encourage further reading. Our daughters are a gift from God. We have a responsibility to them as their parent to show them the right way to live. How can we do this without bruising their spirit or giving them a negative view of themselves in today's world? 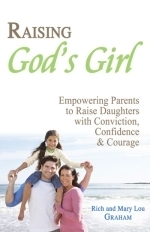 The authors have come up with a scriptural way that worked for them and their four daughters and have shared their knowledge and experience with us. This book was a fun and informative read. While the authors packed a lot of information into each chapter, it was presented in an interesting way so I didn't feel bored or bogged down. It's very clear that they have the experience necessary to talk about raising daughters, since they have four of their own. Their insightful and helpful tips and thoughts were a blessing to me. An interesting aspect of this book was that they pulled their daughters in to help write from the daughter's perspective. So not only do you hear about parenting advice, but you see how it worked or didn't work from the daughter's view point. 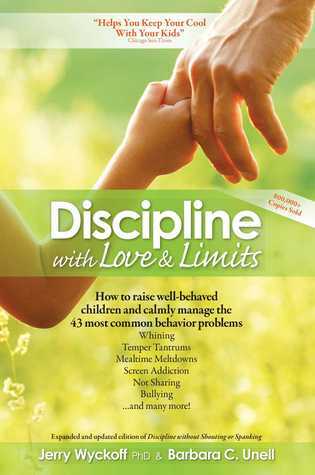 This is a book that I'll be keeping and referencing often while I'm raising my own daughter. I would definitely recommend this book to anyone who has or plans on having a daughter. I received this book free of charge from Book Crash in exchange for my honest review. I don't know about you, but I'm super busy, both at work and as a mom. The author has created a book full of recipes that can be made in 20 minutes or less with simple, easy to find ingredients. They are nutritious and crowd pleasers. Because her husband is a vegetarian, she has included quite a few meatless recipes.ind the book. But after that intro it is completely different. The author is liberal with her scripture verses and quotes. Each recipe has a small list of ingredients, a few simple instructions, and often a thought or antidote about the recipe. There are colorful photographs to go along with some of the recipes. The colors and fonts are fun and playful and follow the design of the cover. I loved the colors and layout. The recipes, while simple, weren't boring. Most of them are ones that I would be willing to try/or already tried on my super picky family. I also liked the personal and Biblical touches that the author added. I viewed the kindle version and didn't care for it. 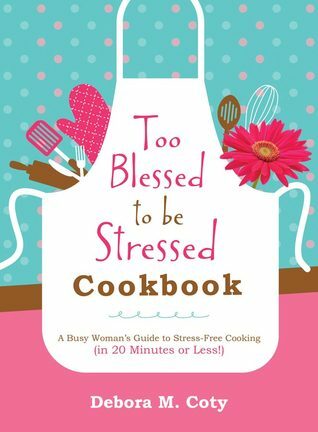 But it was a personal preference with e cookbooks, so I'll be purchasing a paper copy of this book to use. I just find it easier to use a paper book that I can make notes in, dog ear pages, etc. and I find this a bit more difficult on the iPad. Overall, would recommend a paper copy of this to any of my busy friends who want to cook great meals for their family, but aren't blessed with lots of time. Everyone who has ever flown on a plane has heard the instructions to take care of your own oxygen in case of an emergency before helping the person next to you. 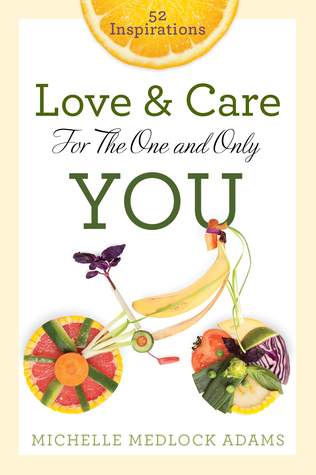 This book is devoted to learning how to take care of the body that God has given you. There are 52 devotional type chapters. The book can be read all at once or spaced out, with one a week, over the entire year. Each chapter begins with a Bible verse and the author's comments and thoughts. It ends with a Power Prayer, a section called Work Your Words, and a Healthy Hint. The Work Your Words is a sentence or two that is to be repeated by the reader to change the mindset of how you think about yourself, to place positive thoughts into your mind. The Healthy Hint is taking something from the chapter and making it applicable and gearing you towards better health and care of your body. I loved the lay out of the book. It wasn't daunting to think about applying everything all at once. Each chapter was simple and yet could have a profound impact if each concept was applied. Instead of being discouraged at how badly out of shape and unhealthy I was, I felt empowered and energized to get back to where I needed to be. The author was very motivating. This would be a wonderful book for anyone who wants to take better care of themselves. But it would also make an excellent gift. Every Christian can testify to the stress and pressures that life throws at them. But as Christians we have a wonderful answer to that problem. God has filled the Bible with scriptures that speak to that very matter. 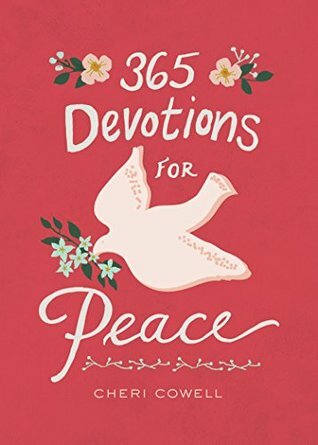 The author has taken these verses and written a devotional with her thoughts based on 365 of these scriptures. Each devotion begins with a text, has the author's thoughts and often a story to go with the verse, and ends with a prayer. The cover was the first thing that drew me to this book. It is beautiful and conveys the peace the author was going for. The color, fonts, and layout of the book inside are just as beautiful as the cover. Each devotional is aimed towards promoting peace and is thought provoking and well written. This would make an excellent addition to any home or would make a great gift. The words "free books" always captures my attention. So when a friend let me know about Bookbub. If you have an electronic device or a computer you can get free e-books every single day. The way Bookbub works is simple. You enter the authors, titles, and genres that you are interested in reading. Then when one of the books goes on sale or is free, Bookbub will be send out an email. I get one every single day that is full of super cheap and free books. There is a deal starting today that I know some of my readers will love.